Tovah Leah has been teaching Bible, Liturgy and Prayer and Relationships at Pardes for 14 years in the Summer Program and eight years as a full time faculty member. She holds a B.A. in Near Eastern Language and Literature and Religious Studies from Indiana University and a Teaching Certificate in Tanach and Jewish Thought from the Michlelet Herzog Seminary in Gush Etzion. 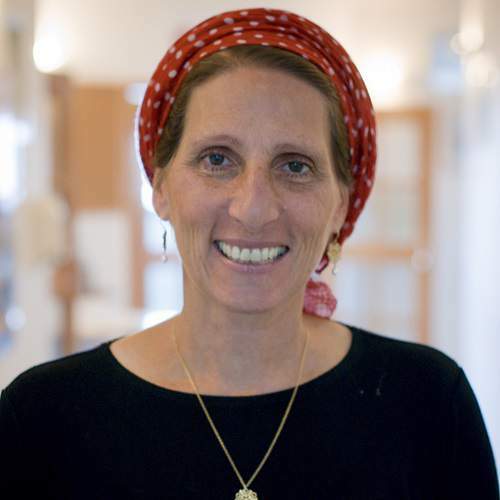 She has written and guided experiential learning programs for mothers and their daughters of Bat Mitzva age at the Women’s Beit Midrash in Efrat, where she previously taught Prayer and Jewish Thought. Tovah Leah was a Jewish educator and program director for many years, together with her husband Gabi, for Livnot U’Lehibanot (“To Build and Be Built”) in Tzfat and Jerusalem. They co-authored the widely-used song book “Zemirot from Livnot.” She also served as Assistant Educational Director for Ayeka – an international organization training Jewish lay and professional leaders to facilitate Ayeka spiritual education seminars for Jews of all backgrounds and affiliations. She believes in learning which connects the mind to the heart. Tovah Leah and Gabi, who live in Gush Etzion, have seven children and four grandchildren. Online learning: Click here to view online learning material from Tovah Leah on Elmad, online learning powered by Pardes.